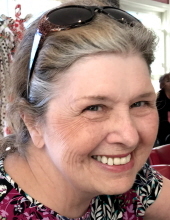 Eileen Bangert Pytel, who died peacefully March 14 in Oceanside, California, will be remembered as an articulate proponent for respect, justice and fairness. Born on June 22, 1945, Eileen was the oldest child of U.S. Naval officer, John Charles Bangert and Rose Marie (Coffee) Bangert who died when Eileen was 6 years old. Her early years involved many moves around the country. With stepmother Norma (Fiedler) Bangert, the family settled in 1957 in North Springfield, Virginia, where it grew to seven children. Eileen attended Annandale High School and lived in North Springfield until she went to St. Louis University. There she met her future husband, Paul. After graduating, they married and moved to Chicago, where their two children were born, and then settled in Naperville, Illinois. Eileen worked in the publishing and newspaper businesses initially. In later years, she was a court clerk in the Will County Circuit Court in Joliet, Illinois, and the Superior Court of Orange County in Santa Ana, California. Eileen was also an elected union representative at the Will County Court. She moved to California in 2006 to be near her two children. A devoted mother, grandmother and sister, Eileen is survived by her son John (Karla Torres) of San Diego and Encinitas, Mexico; daughter Maura (Eli) Sisneros of Oceanside, California; grandsons Eli Jr., Joseph, Anthony, Andrew and Eduardo; siblings John of London, Kentucky; Christine Fishkin of Annandale, Virginia; Barbara (Conrad) of Chagrin Falls, Ohio; Patricia of Carver, Massachusetts; James (Bridget) of Montross, Virginia; and Robert of Springfield, Virginia; niece Madeleine and nephews Matthew, Alex, John Thomas (JT), Brian, Michael and Gregory; and dear aunts, uncles and cousins. She was predeceased by her former husband, Paul. Mass of Christian burial will take place at 11 a.m. Friday, March 22, at St. Patrick Church in Carlsbad, California, followed by the funeral service at 1 p.m. at Mission San Luis Rey Cemetery in Oceanside. To send flowers or a remembrance gift to the family of Eileen M. Pytel, please visit our Tribute Store. "Email Address" would like to share the life celebration of Eileen M. Pytel. Click on the "link" to go to share a favorite memory or leave a condolence message for the family.